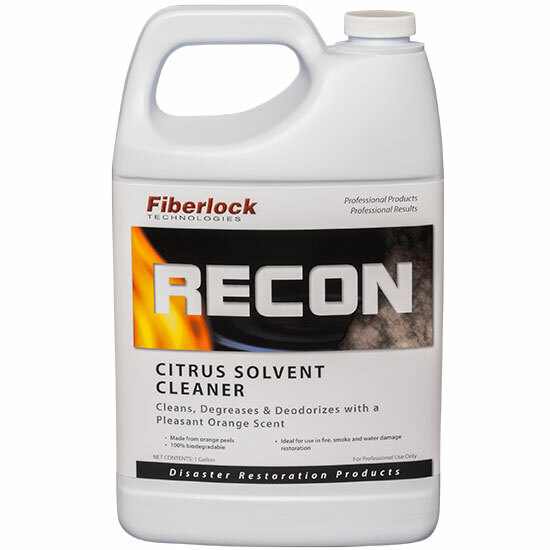 RECON Citrus Solvent Cleaner is a ready-to-use product with an extremely powerful cleaning ability with a pleasant natural citrus fragrance to. The multipurpose concentrate instantly emulsifies grease, oils and fats without the use of harsh acids, caustics/alkalines, petroleum distillates, butyl solvents, chlorinated solvents or ozone depleters. Dilute 2 to 4 ounces of concentrate per gallon of warm water. Sponge or spray onto surface and allow to stand a few moments. Wipe clean with a clean cloth or sponge. Dilute concentrate 6 ounces per gallon of warm water. Mop, spray, or sponge onto surface and allow to stand at least 5 minutes. Scrub or brush thoroughly and rinse with clean water. Dilute 2 to 4 ounces per gallon and apply to surface, allowing to stand a few moments. Rinse away all soap film, scale and grime. Dilute 6 ounces of concentrate per gallon of warm water. Apply with a sprayer or clean cloth. Do not over-wet. Gently work out gum, tar, grease, oil, etc. Blot dry with clean cloth. FOR ODOR CONTROL AROUND DUMPSTERS, GARBAGE DISPOSALS, SEPTIC TANKS, SEWAGE PLANTS, KENNELS, ETC. Dilute 4 ounces of concentrate per gallon of water. Spray or mop onto area to be treated and allow to stand. Around sewage treatment plants apply by the drip method or fogging. NOTE: Pretest all plastic surfaces prior to use.